If you have been considering an overseas dental treatment that combines a low cost dental fix with an exotic holiday thrown in for free you might want to delve a little deeper before signing up for the package. Just as you would with any big-ticket purchases, it may be wise to ask yourself whether you have considered all the possible angles and outcomes. Are there hidden costs that you may not have seriously thought through? Are there any risks involved that you should be aware of? What about post-treatment follow up and patient care? Indeed, asking the following questions could save you some hard-earned money, oral health complications and a lot of needless hassles. Are the Dentists Qualified to Treat My Problem? For starters, you may wish to find out whether the advertised clinic is an accredited dental practice. The majority of dental clinics are registered with their governing country, hence it is wise to investigate whether the clinic and dental practitioners in question are nationally recognised by their respective dental boards. This is especially true for dental treatments that involve complicated surgeries like dental implants. You should be asking whether or not the dentist treating you possesses the necessary qualifications and skills specific to the treatment of choice. It is rather strange than most dental tourism ads sell the holiday destination more than they do the dentists’ expertise. A dentist’s skills, knowledge and qualifications should be important criteria for making any treatment decisions. 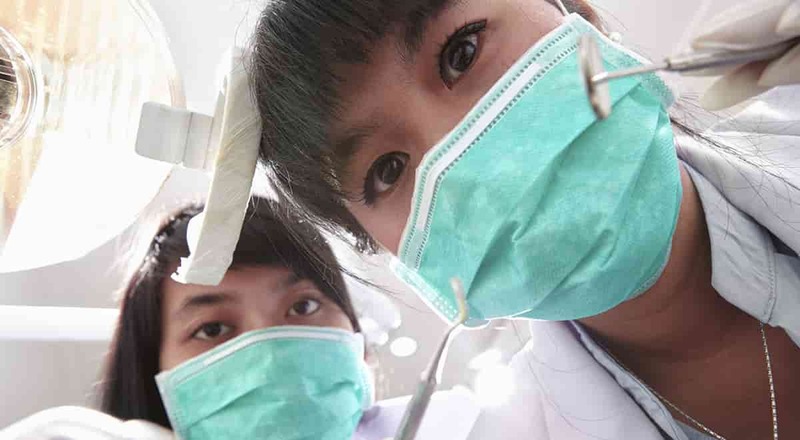 Are You a Good Candidate for the Overseas Dental Treatment? Besides asking whether the dentist is qualified to treat you, you should also ask whether you are suitable for the treatment before you start packing your bags. What if you flew all the way and found out on the first day of consultation that you were unsuitable due to some underlying dental and health condition? If for instance, you had low bone density, you may not be considered for dental implants. To forget this “small little detail” may incur the combined costs of time, flight, accommodation and your annual leave. What are the Unforeseen or Additional Treatment Costs? So you’ve made your way to the destination all raring to undergo the dental treatment. During the initial consultation, the dentist assesses your individual case and informs you about extra costs that are relative to your condition. This is not uncommon as most dentists publish standard treatment prices that do not include additional extras required prior to the oral examination and initial consultation. If you were at a local clinic, you could ask to reconsider or visit another practice for a second opinion. You will have fewer options at an overseas clinic, since the opportunity costs for not going ahead with the planned treatment would most likely already be too high. All the above questions need to be asked and carefully considered before you take the plunge. If the treatment/holiday package sounds too good to be true, it may very well be. Click here for more Cosmetic Dentistry Blogs.